Wild Blue ducks (Hymenolaimus malacorhynchos), Whio, Manganui River. Mount (Mt) Taranaki. 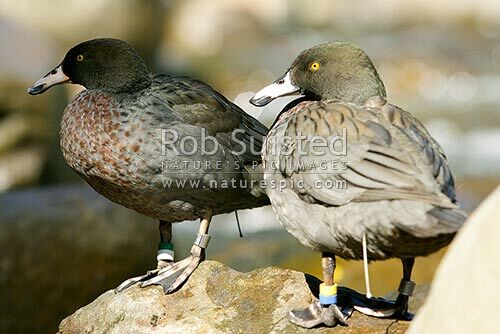 Blue duck pair showing transmitters and bands, Stratford, New Zealand (NZ), stock photo.